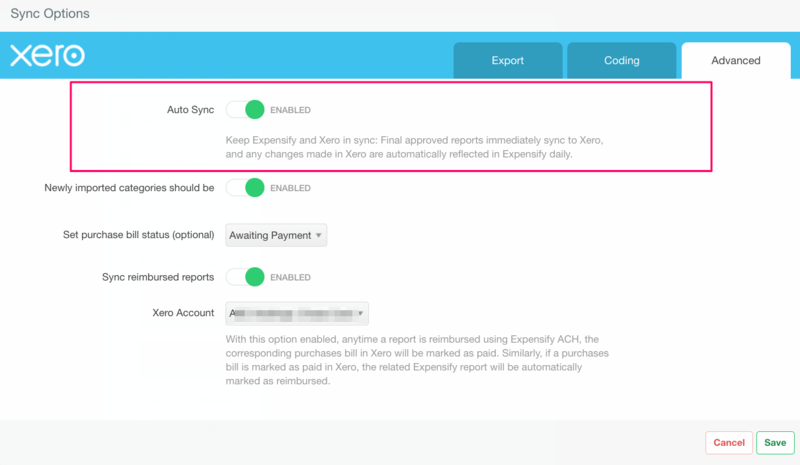 With auto-sync for Xero, when a non-reimbursable report is final approved in Expensify, we will automatically queue it for export to Xero. However, if a withdrawal account has been added for ACH reimbursement, any reimbursable expenses will be auto-synced to Xero when the report is either marked as reimbursed or enabled for reimbursement. What happens if the report can't be exported to Xero automatically? There are a number of reasons why your reports may fail to export to Xero. Before, the preferred exporter would receive an email, outlining the issue and any specific error messages. 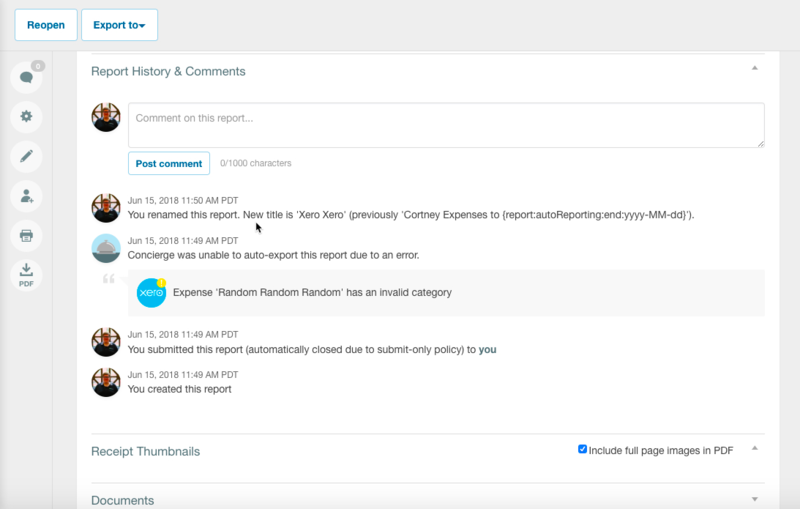 Now, any error messages preventing the export from taking place will also be placed in the Report History and Comments section of the report. The report will also be placed in the preferred exporter’s Inbox, where they can fix any issues. Need any help? Check out our Xero Export Errors page and export manually. How can I make sure that I final approve reports before they're exported to Xero? You'll want to make sure that your policies are set up with the correct workflow, so that they are reviewed by the appropriate people within Expensify before exporting to Xero. We have some examples of workflow in our help documentation, to help guide you through defining your own workflow. This controls the status of new categories. Based on this control, new categories imported from Xero to Expensify with be either enabled or disabled by default. This allows you to sync the report status between Expensify and Xero. If you reimburse a report via ACH direct deposit within Expensify, the purchase bill will be marked as paid in Xero (and vice-versa). You'll also want to select an account in Xero to post that bill payment.